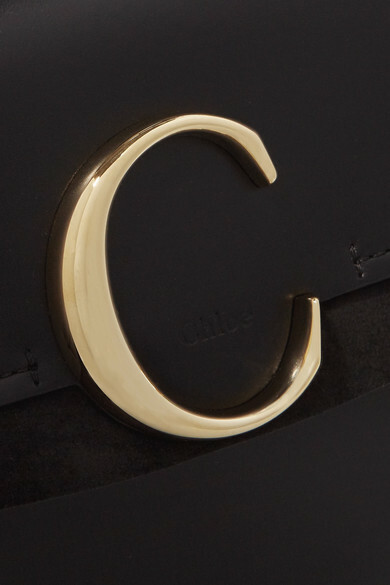 Chloé's 'C' bag is the star of the brand's Spring '19 campaign - which was shot on location in Paris by Steven Meisel - and destined for the same cult success as the label's already iconic 'Nile' and 'Faye' designs. 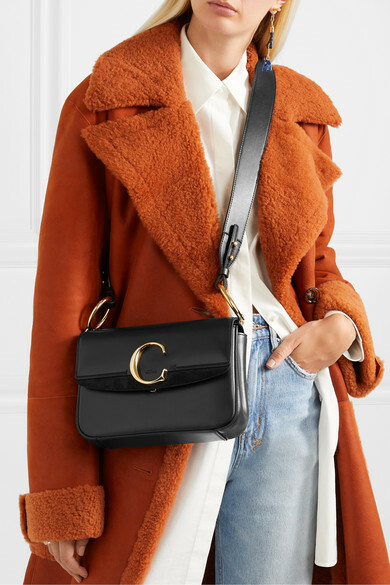 Crafted in Italy from smooth black leather and trimmed with suede, this style is embellished with the gleaming gold plaque it's named after and matching rings. 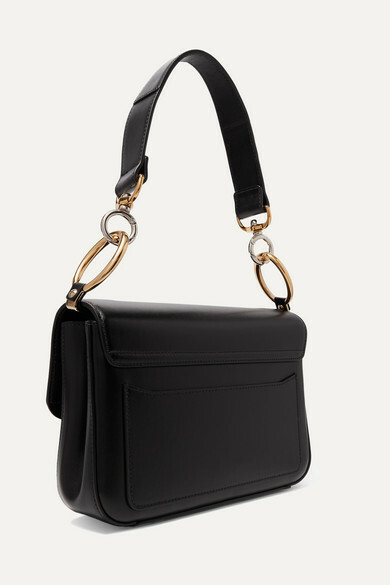 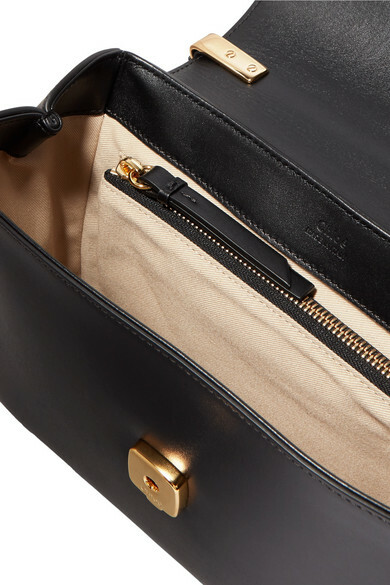 Attach the longer strap to carry it cross-body. 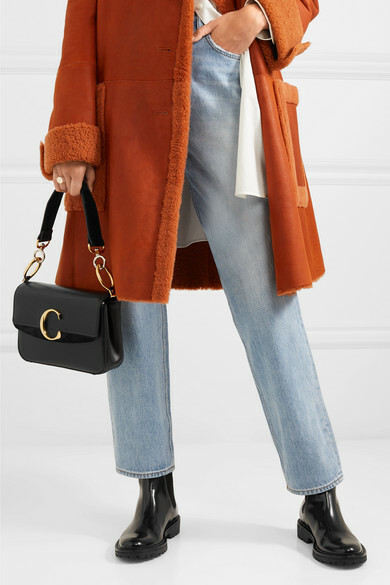 Shown here with: Chloé Pants, Tibi Ankle boots, Ellery Earrings, Paola Vilas Ring.